New Balance Leadville v3 are neutral trail running shoes. The iconic New Balance Leadville v3 is the third edition of the premium trail ultramarathon shoes inspired by world famous 100 mile race which takes place in Leadville (Colorado, USA). Current revision drops the 1210 from its name following latest trend from Boston based brand and it is ready to face technical terrains in a better condition. Plenty of cushioning, specific fit for long journeys and medial post for great stability made the Leadville v3 the perfect choice even for runners with mild pronation. 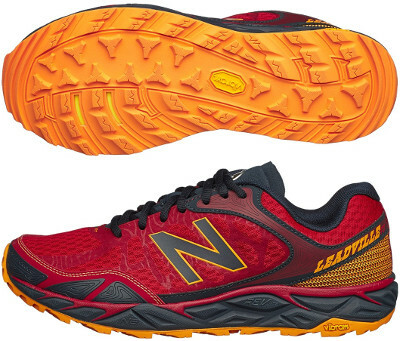 New Balance has made several smart upgrades but no major change in the Leadville v3 compared to its predecessor the Leadville 1210 v2. Upper is based on breathable mesh with FantomFit™ fused overlays to provide enough consistency with an attractive and modern design. Heel counter has been redesigned featuring improved support and stiffness while tongue is gusseted to prevent pebbles to jump inside. Roomy toe box is well protected against external elements with reinforced and generous toe cap (codename Toe Protect™). Comfortable cushioning in Leadville v3 relies on lightweight foam REVlite™ layer for superior responsiveness on top of full length N2 (Nitrogen-injected TPU) reliable foam. There is a TPU rock plate (Rock Stop2™) to protect against sharp elements and renewed Vibram™ outsole is sticky and durable. 4 mm lugs improve grip but keep in mind it is not the best choice for mud runs.